Though rumors have been circulating that the company would get back into mobile devices, they have been denied. Technology news reports have been made, suggesting that Nokia has been interested in stepping back into the world of smartphone manufacturing, but according to the company’s own officially released statements, those reports are nothing more than rumors. The communication technology company based in Finland has denied the claims in a very direct way. The technology news statement from Nokia was very straightforward in the language that it used to restate that it does not have any intentions to either manufacture or sell smartphones within the consumer market. The sources that were cited in previous reports were anonymous and had claimed that the company could be making its way back into consumer smartphones as soon as 2016. That said, the company did not tiptoe around the subject, but rather took a very direct stance at shooting that idea right out of the water. 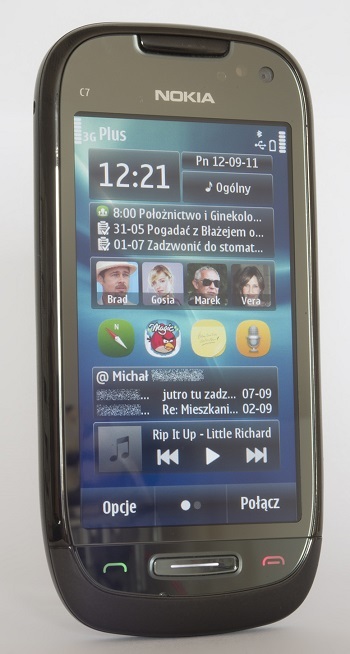 Nokia’s technology news statement acknowledged the reports and said, under no uncertain terms, that they are not true. About the reports that Nokia would be making consumer mobile devices in a Chinese R&D facility, it stated that “These reports are false, and include comments incorrectly attributed to a Nokia Networks executive.” Later, to be certain that it had made itself absolutely clear, it went on to add that “Nokia reiterates it currently has no plans to manufacture or sell consumer handsets.” Obviously, this statement leaves very little room for doubt about the company’s present plans. Indeed, the statement did use the term “currently”, which does imply that one day the intentions of the company could change, but it also shows that at the moment, among all of the plans that the company may be making, entering the consumer smartphone market is not one of them. Among the drivers behind the false technology news reports was the upcoming expiration of the agreement that exists between Nokia and Microsoft, which stated that Nokia is not permitted to use its brand name on cellular phones until the close of the last quarter of 2016.